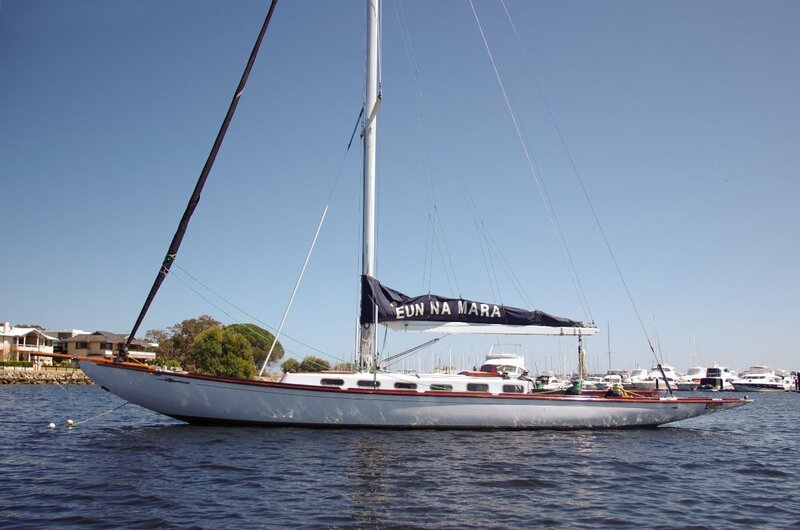 A once in a life time opportunity to own a ONE THIRD SHARE of this rare and beautifull fully restored classic yacht based at South of Perth Yacht Club. Enjoy all the fun of wednesday afternoon social racing and twilites just 10 minutes drive from the Perth city centre. 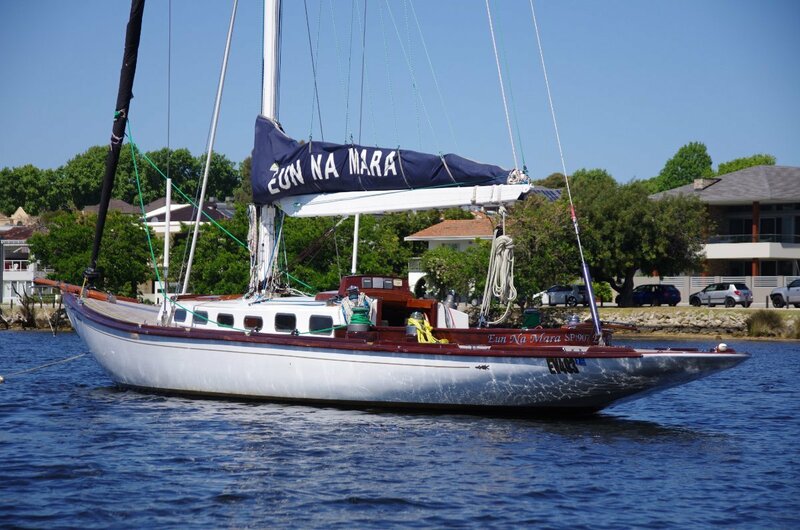 She has all the traditional charm of yester year plus all the conveniences of an easy to sail modern yacht..
She won the prestigious SAYONARA CUP the pinnacle of Australian yacht racing at the time. A painting in her honour still hangs in pride of place at RPAYC. 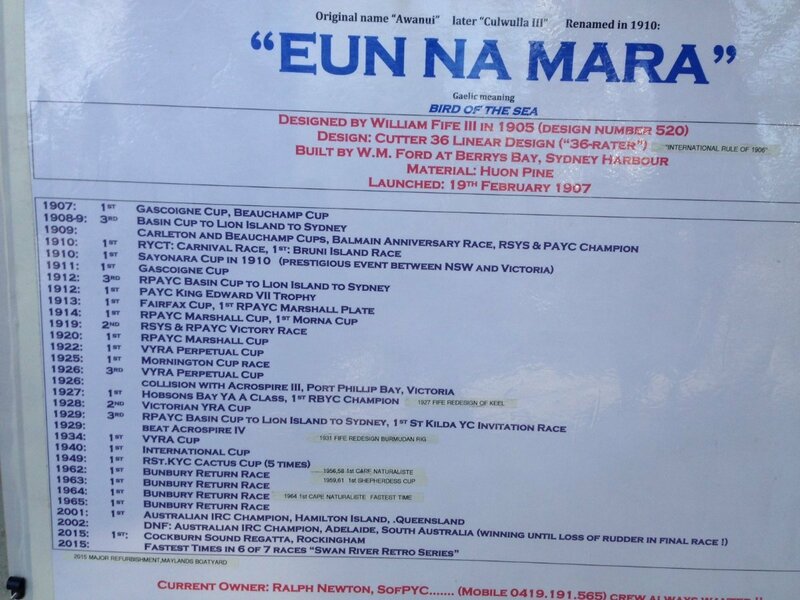 She became EUN NA MARA in 1914 and has enjoyed an illustrious sailing career at Royal Brighton Yacht Club Victoria. 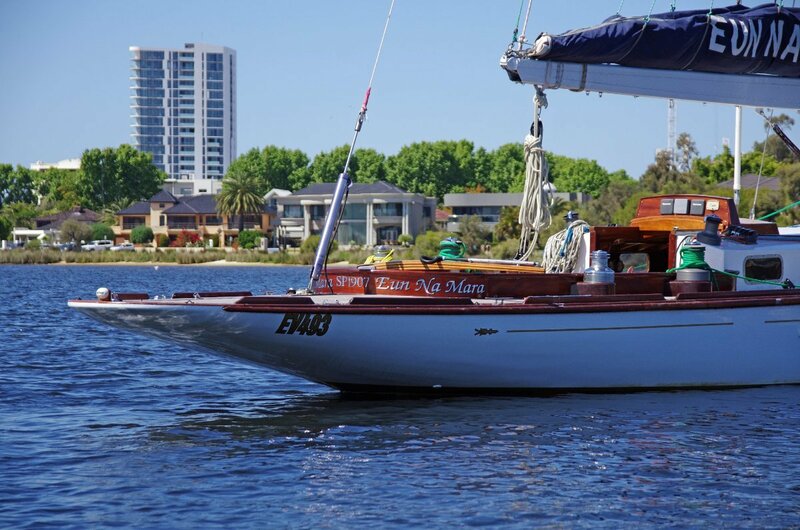 Royal Perth Yacht Club and South of Perth Yacht Club Western Australia. More history and articles attached at foot of this page. Outright winner of the 2001 IRC Hamilton Island Race Week against a 39 boat fleet including Brindabella, Line 7 and Grundig. 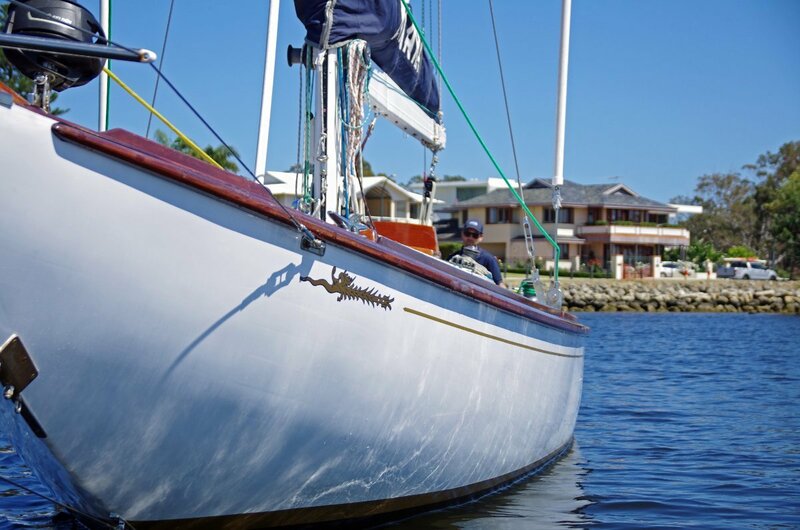 She won by an astonishing 24 point margin..
No expense has been spared in the fastidious restoration of this truly iconic example of Australian maritime sailing history. The experienced and enthusiastic existing owner will be retaining a one third share. Inspection will impress at every level. Installed 2003. New alternator and starter motor fitted. Stainless steel sink with electric pump driven tap. 2 x 3 stage battery chargers.. House batteries and crank.. 12volt fan in forward cabin. 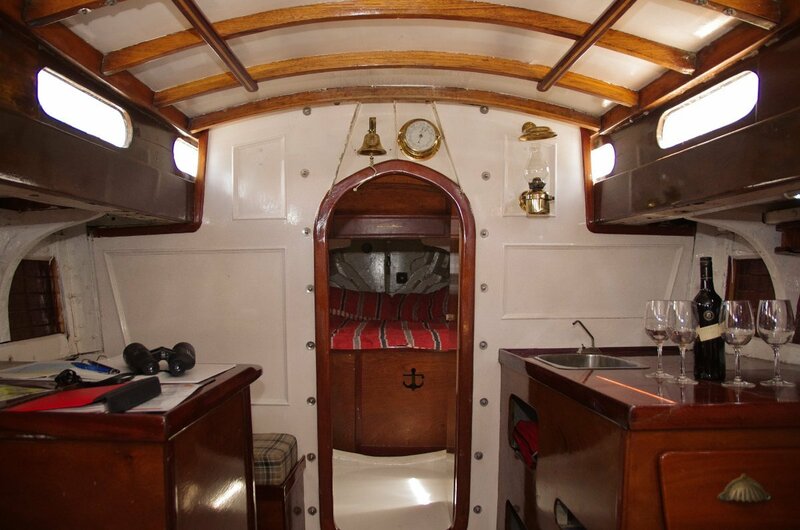 Internal lights and navigation lights. VHF radio Raymarine wind and water speed. 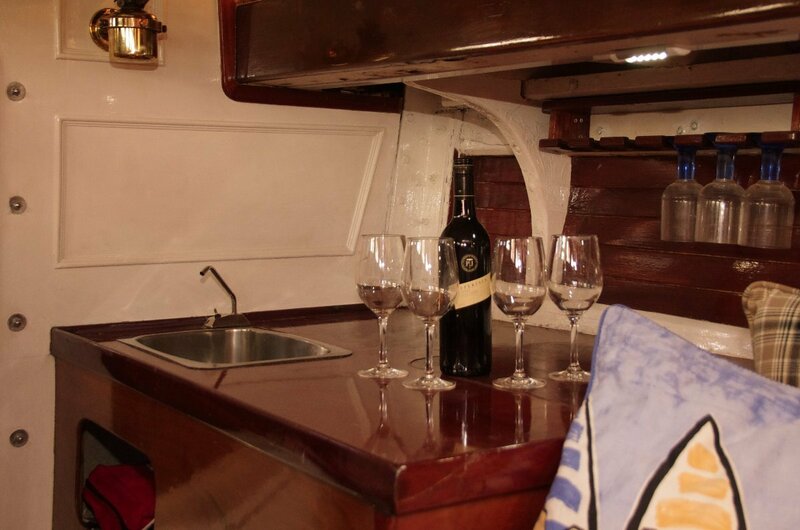 Raymarine Depth sounder. B and GDigital compass. TicTac racing compass/timer. 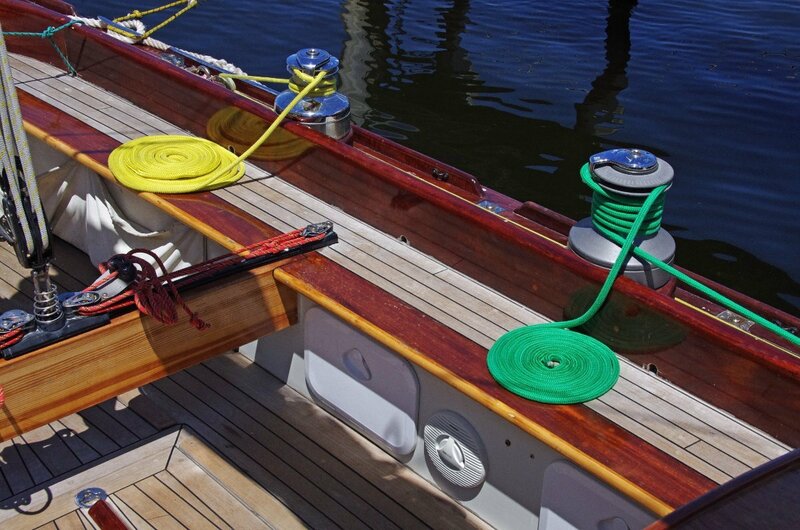 Mast head sloop with twin in line spreaders and hudraulic back stay.